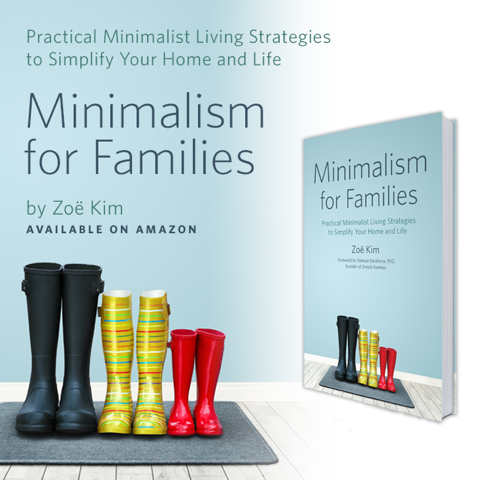 This is a guest post by Zoë Kim, a fellow minimalist, mother of 4 and author of The Minimalist Plate. 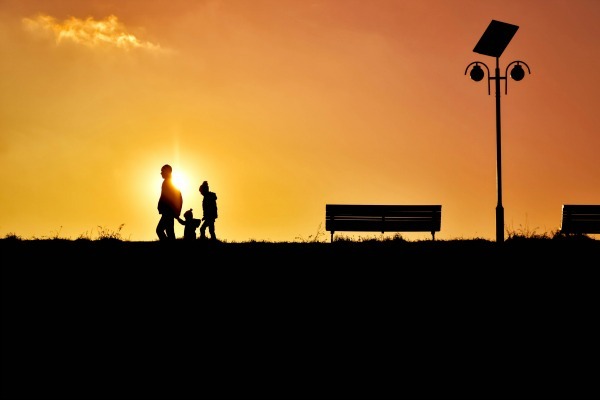 Simplifying your family’s day can feel like an uphill climb during a hurricane at times. It requires intentional effort to set new boundaries, mindsets, and habits. Every day we are pulled in new directions and given new opportunities and a chance to make new decisions. 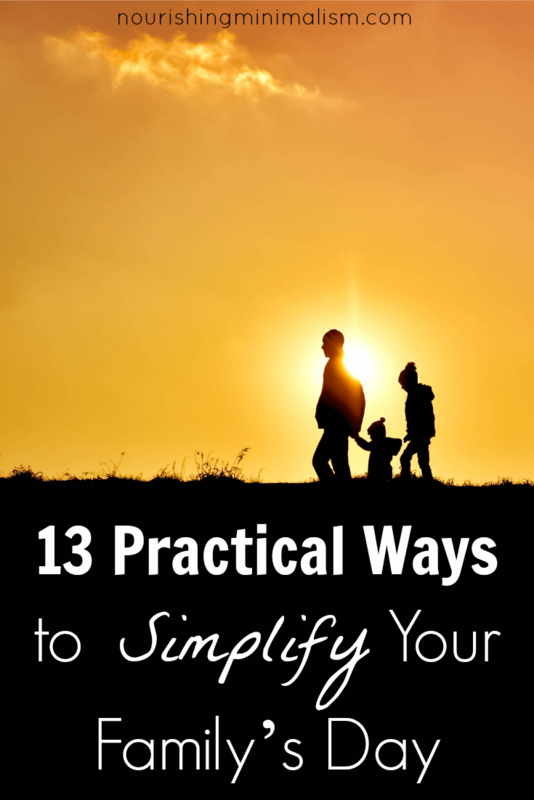 Simplifying your family’s life is a big change that’s built from many small decisions. So small sometimes, we don’t see how much these small steps impact our lives. Years ago I found myself frustrated, spending more time taking care of my stuff than doing things with my family. I’m the kind of person who thrives in an orderly place, but I’m also not gifted in the organizing department. Whoever thought you can’t have too much of a good thing (except grace, love and patience—I always need more of that) must have been confused. As a sensitive creative, I do best in an uncluttered space. For me, physical clutter quickly becomes mind clutter. I have four children and it’s imperative to our daily routine to live without all the clutter. Otherwise, it goes directly to my brain and I just can’t think straight. (In fact, studies tell me I’m not alone). 1.Make a list of three things. 2. Give your daily-use items a home. When becoming minimalist the idea is to give every item you own a home (with room to breath!). But if you can’t simplify your home all at once (like me! ), try starting with the things you and your family use daily. As I share in my new Book, Minimalism for Families, creating a command center (like 3 stacked trays in a kitchen cupboard) for incoming papers and a drop-off station for bags/shoes/coats in our entryway has helped simplify our routine immensely! One way our family has done this was to put together a storage area to hold the things we brought in and out of our home daily — bags, shoes, school papers, mail, and jackets. Having a place for the things we use every day has helped keep our family organized even on the full days. In today’s world we have more consumption at our fingertips than is good for us. If we want to have more time for what matters consider these words from Oswald Chambers, “The whole point of getting things done is knowing what to leave undone.” We don’t have to do and say yes to everything that comes our way—in fact, we can’t. Gratitude opens the door to simplicity for your family. It’s hard to want more when you’re resting in gratitude. Surprisingly this was one of the best unexpected benefits I discovered on my simplicity journey. Joshua Becker is spot on when he says, “Owning less is great but wanting less is even better.” When we’re practicing gratitude we naturally want less and this lessons the attraction our hearts feel toward having and being more. 5. Embrace the idea of one. As you go about your day look for places where one might be enough. One way our family has embraced the idea of one is by using stainless steel water bottles. Each of us has our own water bottle to use for the day. With four kids in the house getting water every hour using one water bottle has reduced dishes and encouraged more water drinking! 6. Wear the same thing. 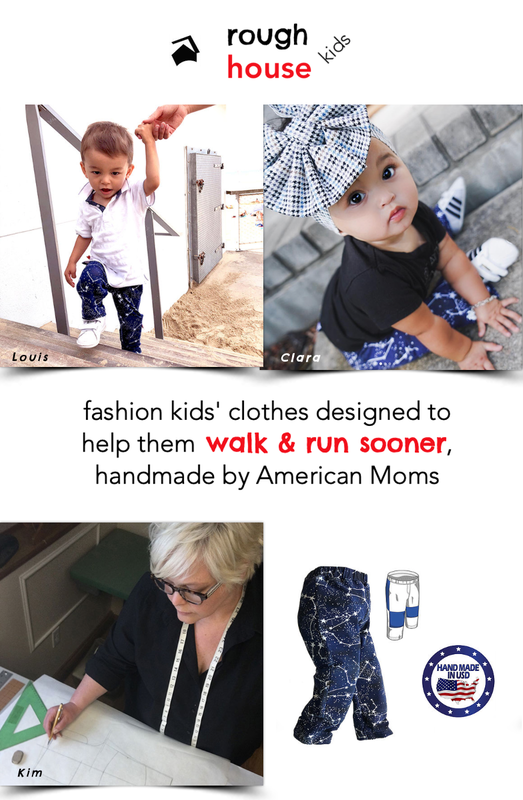 Wearing the same thing weekly can simplify your family’s routine. This entire spring/summer season my three and four year olds have been wearing the same shirt to church every Sunday. It’s just a simple short sleeve button down shirt that could be worn any day of the week, to the park or dinner out. But making a conscious decision to dress them in the same shirt every Sunday morning made things simpler. I was surprised how much I appreciated one less decision to be made—especially as a family of six trying to get out the door before 9 am! 7. Simplify your cleaning products. 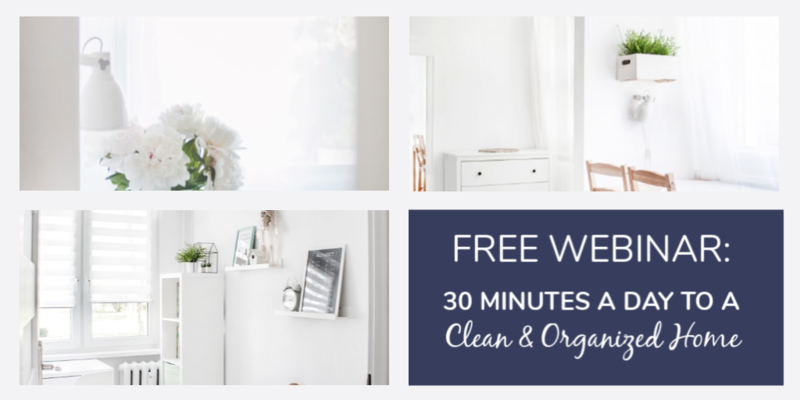 Over the last 6 years, I’ve simplified my cleaning routine and products to non-toxic and mostly zero waste. With minimal multi-use cleaning products, the daily/weekly routine of cleaning becomes simpler. 8. Eat the same thing for breakfast. Eating the same thing for breakfast may sound boring but it hasn’t bothered us one bit! We change it up after about a week. Purchasing the same ingredients can save money and time. This allows more mental freedom when the everyday decisions of what to eat are at their simplest. Recently, this has been my breakfast. It’s simple and easy, no cooking required. 9. Cook in one pot. Choose meals that can be prepared in one pot. We have an instant pot that replaced our crock pot and rice cooker. It’s a pressure cooker that dramatically shortens the cooking time! Batch cooking is preparing a larger quantity of food ahead of the time you intend to use it. Cooking entire meals or meal components (side-dish) in batches will save you time and effort during the week. 11. Fast from social media. With social connection just a scroll away there are endless possibilities for interruptions and distractions. I’ don’t know about you but staring at a screen all day leaves me feeling drained emotionally and physically– and I didn’t even get anything done! Think about your schedule tomorrow and look at each activity. Is there any essential activity that can be made easier? For my family this means, prepping kids lunches, backpack, and clothing. We also try to do a quick pick-up together in the common areas before heading to bed. 13. Plan a do nothing day. Planning a do nothing day weekly isn’t about actually doing nothing, instead, it’s about having nothing planned. Allowing this gap time in our week gives way for reconnecting with our family and more time for rest and reflection. As I’ve progressed in this minimalist lifestyle I’ve shifted from de-owing the excess to building new habits. And honestly, I’ve found this part much more challenging than letting go of all my “heavy stuff”. It takes an intentional effort and commitment to keep a family on track but it’s one worth the investing in! When we choose simpler, we make time for what matters, in our homes, in our minds, and in our hearts. Now is a great time to pre-order her book on Amazon and then click here to let her know and get some great bonus content for pre-ordering!